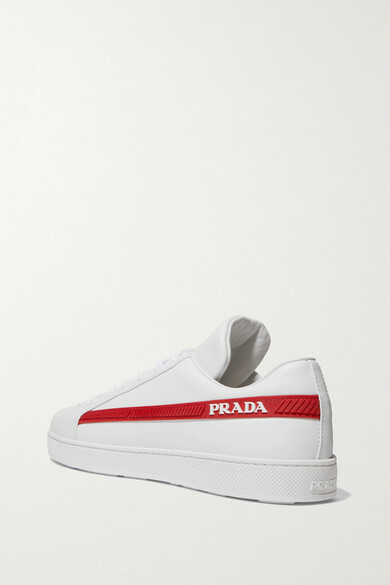 Prada relaunched its iconic '90s 'Linea Rossa' line this Fall and we couldn't be more excited. 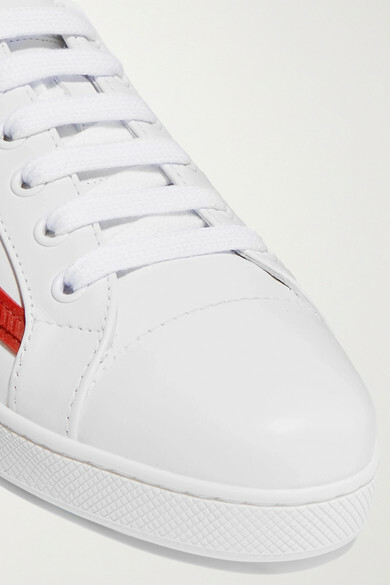 Identifiable from the red logo tab swiped across both sides, these 'Avenue Last' sneakers have been made in Italy from optic white leather with an exaggerated tongue. Wear yours at the weekend with denim or floaty dresses. 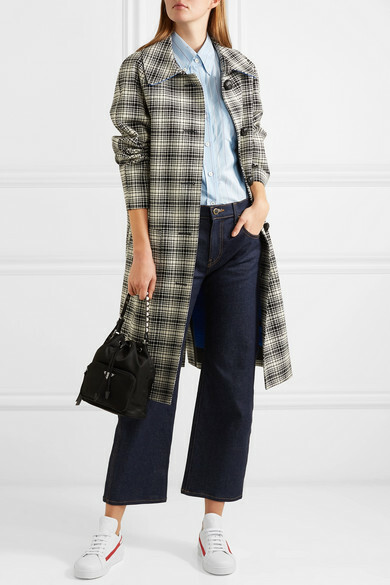 Shown here with: Prada Shirt, Khaite Jeans, Prada Shoulder bag.